Tanking, I learned from other tanks, willing to teach a noob as I was back then when I began to play. Screenie taken during an ingame event. I do not tank much nowadays, but I can do it. 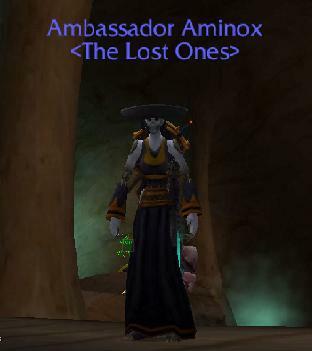 Aminox is geared enough for Naxxramas. 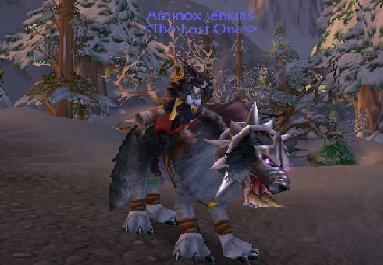 Here she is as level 25, in Stonetalon mountains. Notice the guildname. A guild which was thrown over me when I was only level 9 and had no idea about what a guild was. Lertivox was my second created char. 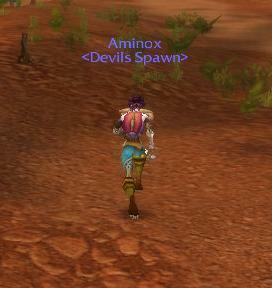 He’s Aminox twinbrother and he was a paladin. I deleted him at level 46, since people wanted me to heal or tank all the time. Tanking I do with Aminox, noone else. He also got his name from my novel about Aminox. 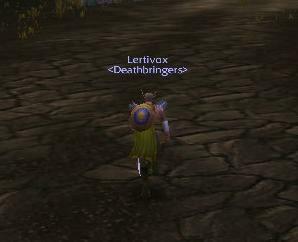 I ressurected Lertivox on another server; Sha’tar. 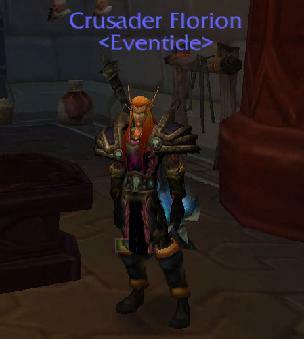 Here he is a draenei warrior, today level 63. 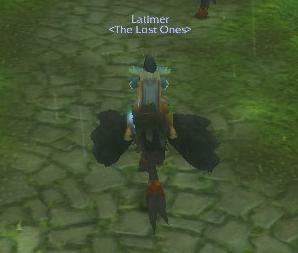 Since there was a lack of healers on DMF, I created Latimer, a bloodelf priest. He is the older brother of Aminox. Here as level 45. 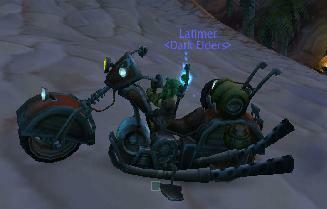 Latimer is my maincharacter, specced as holy/disc and he’s awsome to play. I pop in where a healer is needed and get lots of friends on the way. Here he’s transformed into a gnome. I changed guild, from The Lost Ones into Dark Elders since I want to learn more about the game. Dark Elders have experianced players and they teach me a lot. Zarice was the third char I created on DMF. She’s now lvl 73, a hunter. Her I play when I feel for ganking Alliance-players in battleground. She’s the guildmaster of another guild. 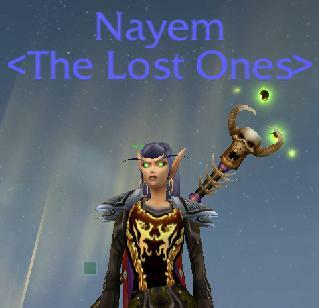 Nayem got her name after ”The legend of the medallions” and she was the forth char I made on DMF. She’s a mage (just as in the book) but to be honest, it took me a long time to level her to 80. I’m not fond of playing mages. 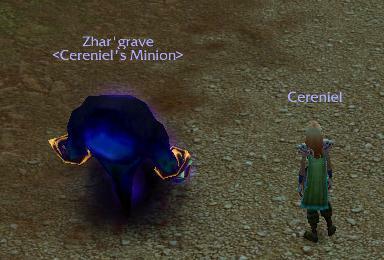 Cereniel is one of the queens in ”The legend of the medallions” In Wow, she’s my warlock, lvl 80. I’m not fond of playing her either, but she fill a need for gem I have on Latimer. She can cut what I need and that’s why she became my fifth char on DMF. Florion, is Aminox husband in the novel. 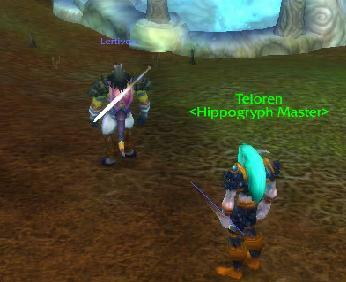 Ingame he’s my retripaladin and the latest of the ones I levelled to 80. One of my own wowvideos!! Enjoy! This one, is one of the absolute best wowvideos I’ve seen. I love this one; my favoritegame, combined with one of my favorite bands.